What an excellent collection of rare tracks this is. 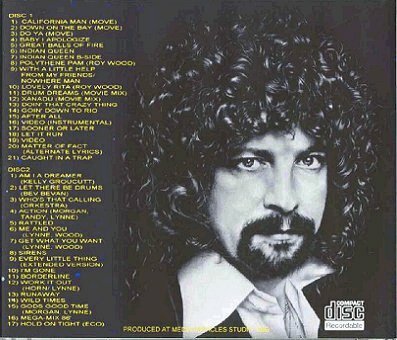 With songs by Jeff right through from his days with The Move through to ELO and onto more recent collaborations with Roy Wood, Dave Morgan, etc. This collection has been put together by an avid ELO fan who like the rest of us is still awaiting official releases of many of these tracks on cd. 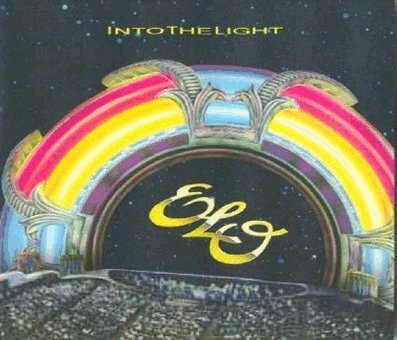 The sound quality is first class and there is something on this collection for every Jeff and ELO fan. My own personal favourites include the full 11 minute version of the 'ELO Megamix' which featured on the b-side to the withdrawn 12" single 'Getting To The Point', and also 'Action' by Tandy Morgan. I can highly recommend this collection to any fan of Jeff and ELO. For more information then please e-mail me.